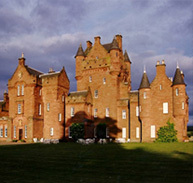 Music-Makers has regularly presented concerts in Scotland, particularly in Glasgow and the Scottish Borders. 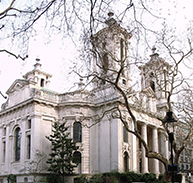 We have also promoted special events in London, at the Wigmore Hall and St. John’s Smith Square, including Bartók’s complete violin-piano works performed by Susanne Stanzeleit and Gusztáv Fenyő to coincide with release of their award-winning CD series. 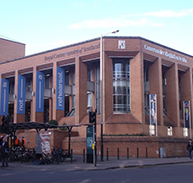 In Glasgow, we introduced chamber music to the West End’s Cottier Theatre in 1995 with a popular cycle of Beethoven’s violin-piano sonatas, a Schubert/Brahms series, works by Hungarian and American composers, and a Young Musicians’ Platform. 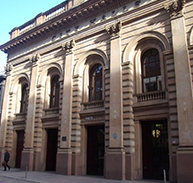 During its reign as City of Architecture in 1999, we presented a seven-concert series of Chopin’s complete piano music at the magnificent Hutchesons’ Hall (opposite where Chopin himself played), to mark the 150th anniversary of his death, as well as performances of Hugo Wolf’s settings of Goethe. 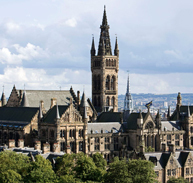 In 2003, as part of the city-wide Whistler centenary celebrations, we collaborated with Glasgow University’s Hunterian Art Gallery and Music Department in a mini-series drawing connections between Whistler’s art and music. 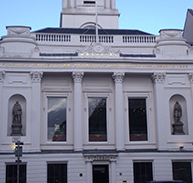 The refurbished City Halls was the setting for another centenary series in 2006 featuring Shostakovich’s chamber music and the first complete Glasgow performance of his 24 Preludes & Fugues. 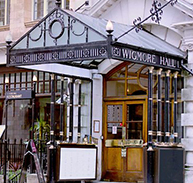 This exceptional twentieth-century piano cycle was re-presented at the City Halls’ Recital Room in 2018 in a 5-concert series which uniquely juxtaposed it with the source of its inspiration – J.S. Bach’s ‘The Well-Tempered Clavier’. 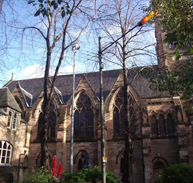 In 2011 the bi-centenary of the great Hungarian pianist-composer Franz Liszt was celebrated at St Bride’s Church, in the heart of Glasgow’s West End. Continuing this focus on piano repertoire, a Vienna Series in 2012 juxtaposed late works by Schubert with sonatas by Haydn and Mozart, concluding with Beethoven’s extraordinary ‘Eroica’ Variations. 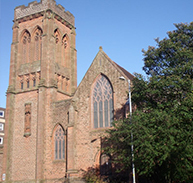 Britain’s smallest cathedral on the picturesque Isle of Cumbrae in the Firth of Clyde, within easy reach of Glasgow, provided an ideal setting in 2013 and 2014 for a residential summer course for pianists and string players combined with public concerts, thus bringing us full-circle to our early beginnings. 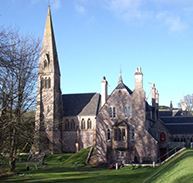 In 1995 we launched Summer Music, a festival of high-quality chamber music concerts in inspiring, rural locations, initially combined with a summer school for young musicians. 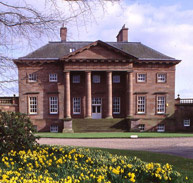 It was established at Ayton Castle in the Scottish Borders, moving subsequently to nearby Paxton House, a partner gallery of the National Galleries of Scotland. 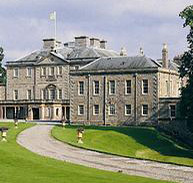 In 2008 we also presented a pilot festival at Haddo House in Aberdeenshire. Featuring some of Britain’s outstanding chamber musicians, Summer Music’s reputation rapidly grew under the direction of Gusztáv Fenyő and Susanne Stanzeleit as Scotland’s leading chamber music festival. Its imaginative programming ranged from a celebration in 2000 of J S Bach and his influence, through the mainstream repertoire to twentieth-century masters, such as Schoenberg, Stravinsky, Shostakovich, Messiaen and Kurtág, and the commissioning of a new work by Paul Keenan. We hope you will enjoy exploring our Events’ archive below, with full details of all our events organised by venue and location, as well as a comprehensive list of Artists and Repertoire. Please also visit our Gallery section which provides a vibrant visual record.